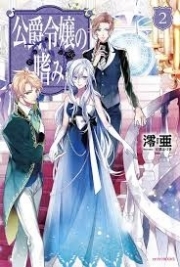 You’re reading novel Chaotic Sword God Chapter 1372 online at LightNovelFree.com. Please use the follow button to get notification about the latest chapter next time when you visit LightNovelFree.com. Use F11 button to read novel in full-screen(PC only). Drop by anytime you want to read free – fast – latest novel. It’s great if you could leave a comment, share your opinion about the new chapters, new novel with others on the internet. We’ll do our best to bring you the finest, latest novel everyday. Enjoy! In the blink of an eye, the surroundings fell so silent that even a dropped needle would be heard clearly. Only Jian Chen and Huang Luan's long breaths were vaguely audible. Huang Luan's breathing gradually became heavier and the sound of her heart-beating seemed audible as well. This was all due to her excitement. Suddenly, Huang Luan lunged at Jian Chen and wrapped her arms tightly around him. She buried her face deep in his chest as her body slightly trembled. Huang Luan possessed the Water Spirit's Body, so she should have possessed a warm and gentle personality. However, her personality was the exact opposite. Deep in her was a natural sense of chivalry, and she was relatively straightforward, especially in certain aspects. She lacked the bashfulness present in young girls. Jian Chen gently embraced Huang Luan as he could feel her supple skin. He could not help but let his state of mind waver slightly. "Luan'er, it's been tough for you these days. I left you here all by yourself to cultivate. You had to endure the boredom and loneliness silently," Jian Chen sniffed Huang Luan's fragrance as he blamed himself. He had no choice but to leave Huang Luan here after bringing her to the sea realm. Huang Luan covered Jian Chen's mouth with a hand as her eyes filled with tears. She affectionately looked at Jian Chen's handsome and masculine face and gently said, "Chen, I don't blame you. The only person that can be blamed is me for being useless, and I couldn't help you, forcing you to go through storms of blood all by yourself. I'm currently cultivating as hard as I can to increase my strength. Once I become a Saint King, I'll be able to help you." Jian Chen was greatly touched by her words. He embraced Huang Luan tighter and lowered his head to gently kiss her forehead. He tenderly said, "Luan'er, you don't need to be like that. My hard days of life are over. I have the strength to hold myself up in the world now and protect those beside me…"
All the hidden thoughts they felt exploded at that very moment after being apart for so many days. In the silence and without any disturbances, Jian Chen and Huang Luan remained in each other's embrace while they softly spoke. They revealed their true feelings. The two of the talked about a lot of things. Jian Chen told her about everything that he had experienced over the past few years right down to the smallest detail. He did not feel like he had the need to hide anything from Huang Luan. The only thing he kept secret from her were the Azulet swords and the Immortals' World. It would not be good for her to learn about these matters too soon. Huang Luan became overjoyed after the initial shock when she learned that Jian Chen could easily kill Saint Emperors now. At that moment, Huang Luan had never felt so at ease. She remained in her lover's embrace. Over the past few days, she had been working hard on cultivating. She used her longing as motivation. She had always thought about becoming powerful to help out Jian Chen. She knew that Jian Chen's strength had increased very quickly in recent years, but it had not been a peaceful time for him. He often walked on the edge and would always be on the front lines of life. He roamed the boundary between life and death, living each day with great difficulty. Now, Huang Luan became extremely excited after she learned that her lover had become a Saint Emperor. This was because she no longer needed to worry about Jian Chen's safety, which allowed her to be at ease. "Luan'er, I've come today specifically to take you back to the Tian Yuan Continent. You've been away for so long, so it's time for you to come back. And it's time for us to find Changyang Qing Yun and settle the matter of him planting an ancient secret technique in you," Jian Chen gently explained. As soon as he mentioned Changyang Qing Yun, a sliver of fierce anger flashed through his eyes. Huang Luan remained in his embrace obediently like a cat. She tenderly nodded and said nothing. Jian Chen took Huang Luan to see Yadriam afterward and thanked her for looking after Huang Luan all this time. He pulled out a first and second grade Violet Cloud Peach from his s.p.a.ce Ring and said, "Hall master, these are some heavenly resources I obtained in the s.p.a.ce that I went into to search for her majesty's revival materials. They possessed extremely wondrous effects. This peach of a deeper color is for you, and please hand the other one to elder Atlantis for giving me a.s.sistance back then." Yadriam thanked Jian Chen before accepting the two peaches. She did not pay too much mind to them. Jian Chen could tell with a single glance that Yadriam treated the two peaches as nothing. He could not help but add, "Hall master, do not underestimate these two peaches. Once I leave, it's best for the hall master to ingest the peach as soon as possible. Its effects will definitely give you a pleasant surprise." "Really?" 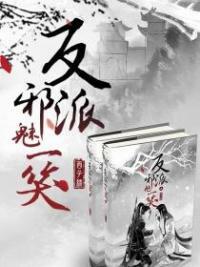 Yadriam examined the peach in her hands and glanced at Jian Chen doubtfully. She did not believe that the peach would surprise her at all. She was already a Saint Emperor. No matter how valuable the heavenly resource was, its effects would be insignificant on an expert like her. Jian Chen also left behind two second grade Comprehension Tea Leaves and some water from the Springs of Life. He told Yadriam how to prepare the tea before leaving with Huang Luan. Jian Chen stood on the Zi Ying Sword with his arm around Huang Luan's waist above the Sea G.o.ddess Hall. He shot off into the distance as a streak of light, headed to the Serpent G.o.d Hall. The Zi Ying Sword moved extremely quickly, so quickly that Jian Chen was unable to distinguish the rapidly receding landscape around him. He used the senses of his soul to find his way. Huang Luan felt like she had entered a tunnel in s.p.a.ce-time as she stood on the sword. Everything was all blurry around her. "Chen, this Zi Ying Sword is so fast. I never thought that the two swords you forged could be used like this," Huang Luan emotionally sighed as she stared at the Zi Ying Sword beneath her in surprise. "This is only the base speed. As I grow stronger, the speed will increase," Jian Chen smiled complacently. Traveling had always been a pain to him due to the fact that he was unable to comprehend the mysteries of the world on the level of a Saint King. The Zi Ying Sword made up for this flaw. Soon, Jian Chen arrived in the territory of the Serpent G.o.d Hall and stopped before some ruins. This was the territory of the Kalor tribe, but it had been reduced to nothing. The entire place had fallen into ruins. You're reading novel Chaotic Sword God Chapter 1372 online at LightNovelFree.com. You can use the follow function to bookmark your favorite novel ( Only for registered users ). If you find any errors ( broken links, can't load photos, etc.. ), Please let us know so we can fix it as soon as possible. And when you start a conversation or debate about a certain topic with other people, please do not offend them just because you don't like their opinions. You're reading Chaotic Sword God Chapter 1372. This novel has been translated by Updating. Author: Xin Xing Xiao Yao already has 4283 views. Current Time is Apr-18-2019 16:40:01 PM.